Amber Heard is speaking out about her experiences. The 32-year-old actress and activist attended the 2019 SAMS Midwest Chapter Annual Gala as keynote speaker on Saturday night (March 16) in Chicago, Ill.
Chicago Med star Torrey DeVitto was also in attendance at the event. Syrian American Medical Society, or SAMS, is a global medical relief organization that is working on the front lines of crisis relief in Syria, in neighboring countries, and beyond to save lives and alleviate suffering. In her speech, Amber spoke about the impact that SAMS medical missions have had on her, and shared the stories of some of the inspiring individuals she spoke to and the dedication and selflessness of SAMS volunteers she met during the missions. “Empathy is a remarkably selfless emotion—it requires a person to leave the comfort of their own perceived place in the world and inhabit the experience of someone else. It is an inherently frightening and disorienting state of being, one that can be extremely rewarding but also unbelievably draining,” she said. Amber accompanied SAMS on two medical missions to Jordan and Lebanon. 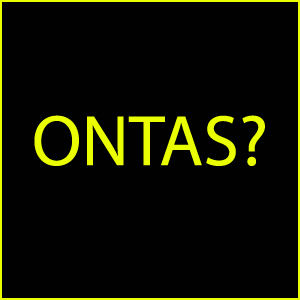 “I’ve certainly never given anyone an injection nor do I know what to do with a stethoscope. But what I can do is use my platform and my skill as a storyteller to inspire others to take small incremental actions in support of a common cause,” she said. The event was sponsored by Merrill Lynch and The Ajroudi Foundation. Jesse Lee Soffer & Torrey DeVitto Couple Up for SPiN Paddle Battle Event! 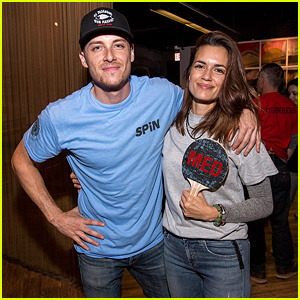 Cute new couple Jesse Lee Soffer and Torrey DeVitto pose for a photo while attending the Cast Paddle Battle at SPiN on Sunday (September 30) in Chicago, Ill.
Twelve cast members from the three Chicago-set shows – Chicago Fire, Chicago PD, and Chicago Med – turned out to participate in an epic ping pong competition to benefit The 100 Club of Chicago. 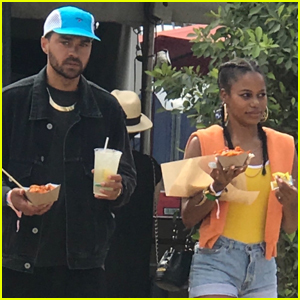 Jesse is on Chicago PD and played with cast-mates Marina Squerciati, Tracy Spiridakos, and executive producer Eriq La Salle while Torrey is one of the stars of Chicago Med and she played with co-stars Nick Gehlfuss, Cesar Jamie, and Norma Kuhling. Chicago Fire’s team, which consisted of Jesse Spencer, David Eigenberg, Eamonn Walker, and Joe Minoso, won the team tournament. Sarah Paulson & Sterling K. Brown Celebrate Emmy Nominations with EW! The stars were out in attendance at the 2018 Pre-Emmy Party hosted by Entertainment Weekly and L’Oreal Paris at Sunset Tower on Saturday night (September 15) in Los Angeles. 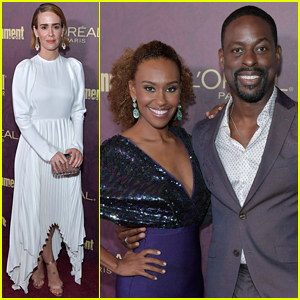 Emmy nominees Sarah Paulson (for American Horror Story) and Sterling K. Brown (for This Is Us), with his wife Ryan Michelle Bathe, were just two of the stars seen at the party. You may remember, Sarah and Sterling co-starred in American Crime Story: The People v. O.J. Simpson, and they both won Emmys for their performances! 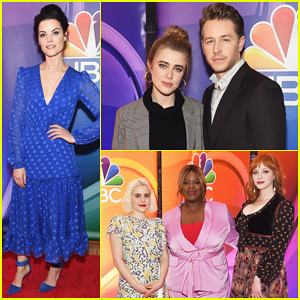 Rounding out the guests were The Good Place‘s D’Arcy Carden and Manny Jacinto, Empire‘s Jussie Smollett, Elizabeth Gillies, Arielle Kebbel, Retta, Elizabeth Reaser, Kenan Thompson, Kendrick Sampson, Candace Cameron Bure, Jason George, Garcelle Beauvais, Lindsay Price and Curtis Stone, Caterina Scorsone, Camilla Luddington, Padma Lakshmi, Torrey DeVitto, Rodrigo Santoro, Brandon Victor Dixon (nominee), Jackson Rathbone, Derek Hough and Hayley Erbert, Ron Livingston and Rosemarie DeWitt, Sara Rue, Breeda Wool, Sydelle Noel, Death and Nightingales’ Valene Kane, and Crazy Rich Asians‘ Nico Santos. FYI: Sarah is wearing a Khaite dress. Sterling is wearing an Etro suit and Rob McAllen shoes. Jackson is wearing a John Varvatos suit. Busy is wearing a The Vampire’s Wife dress and Malone Souliers shoes. Padma is wearing a Rubin Singer dress. Arielle is wearing an Elisabetta Franchi dress. Candace is wearing an Ezgi Cinar dress. Elizabeth G. is wearing a Peter Pilotto suit. Lindsay is wearing a Monique Lhuillier dress. Casamigos cocktails were served at the party. Ryan Seacrest and Shay Mitchell pose on the red carpet while attending Us Weekly‘s party honoring the Most Stylish New Yorkers of 2018 on Wednesday night (September 12) at Magic Hour Rooftop Bar & Lounge in New York City. The event was held on the final day of New York Fashion Week and some of the other stars in attendance included Shanina Shaik, Nikki and Brie Bella, Joey McIntyre, Hilaria Baldwin, Torrey DeVitto, and Hennessy Carolina. 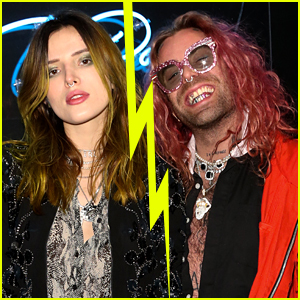 The annual Fashion Week list curated by Us Weekly celebrated some of New York City’s most stylish celebrities and influencers whose stand-out style shined this year. Torrey DeVitto Joins 'Chicago Med' Co-Stars Nick Gehlfuss & Colin Donnell at Press Event! Torrey DeVitto and Nick Gehifuss are all smiles on the red carpet as they arrive at the 2018 One Chicago Day on Monday (September 10) in Chicago, Ill. The co-stars sported their characters’ scrubs as they stepped out to promote the upcoming fourth season of their hit show Chicago Med. Joining them at the press event were their co-stars Colin Donnell, Brian Tee, Yaya DaCosta, Laroyce Hawkins, Oliver Platt, Norma Kuhling, S. Epatha Merkerson, and Marilyne Barrett. The new season of Chicago Med premieres on Wednesday, Sept. 26 at 8/7c on NBC.